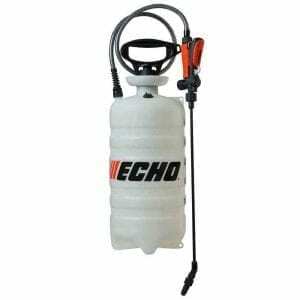 Penetrating silane cure and seal for newly poured garages, driveways and sidewalks. Seals with a clear, non-yellowing, protective film to cure fresh concrete while preventing water and salt penetration and protecting against freeze-thaw cycling. 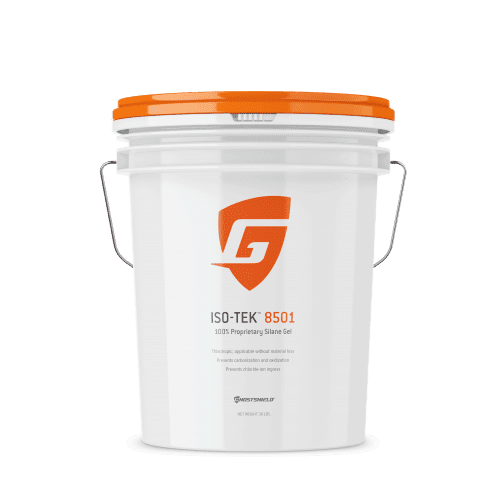 By using Iso-Cure 8525 as an all-in-one product the 28 day process of using a cure and seal, waiting 28 days and then applying a penetrating sealer is done away with. 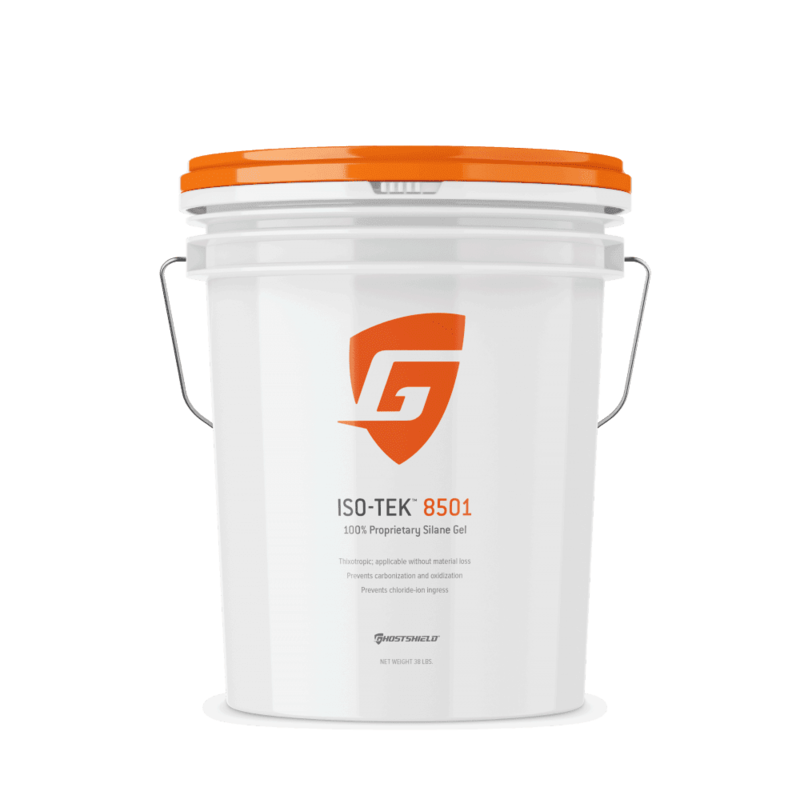 5 Gallon Bucket Coverage: Up to 1500 sq. ft.
For use only on new, exterior, freshly placed, broom finished, colored and hard steel trowel concrete substrates. Do not apply to cured concrete. Application Temperature: Do not apply if surface or ambient temperature is below 50°F within two hours of application or within 5°F of the dew point. Condition material to be a minimum of 60°F prior to application. New Concrete: Yes, apply after all bleed water has dissipated and within 2 hours of final finish.